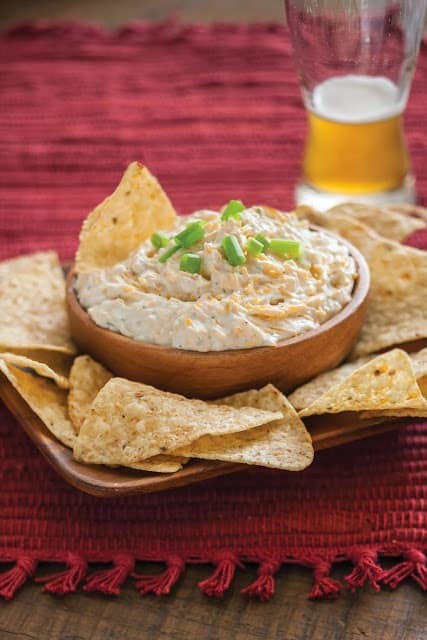 We had this wonderful Beer Cheese Dip during the Green Bay Packer game on Thanksgiving Day. We were invited to spend the day at my daughter-in-laws parents house for the game and for Thanksgiving dinner. Kim’s dad Jeff made this dip and everyone loved it! In fact, I made sure my chair was nice and close to the dip! In my house, we’re all about the “snacks” and I’m always on the look out for a new dip recipe. Thanks Jeff for this yummy dip! Here in Wisconsin and especially in my family, we celebrate Thanksgiving, hunting season, a day spent watching football games and Black Friday shopping. Husbands get up early to get in some extra hunting time and wives get up early to start preparations for the Thanksgiving meal. The day starts with the Macy’s Day parade and after the parade, football begins. After the dishes are washed and put away, the ladies head out shopping! As I stated earlier, my hubby and I were invited to spend Thanksgiving at my daughter-in-laws parents house. We haven’t been invited to spend Thanksgiving anywhere in years so we were more than happy to go. This year was especially important for us to spend Thanksgiving at her parents house because Kim’s mom has brain cancer….sadly we knew that next Thanksgiving she might not be with us. Today as you gather around the table with family and friends, give thanks for your loved ones. Jeff’s Beer Cheese Dip, from what I have been told, is legendary. 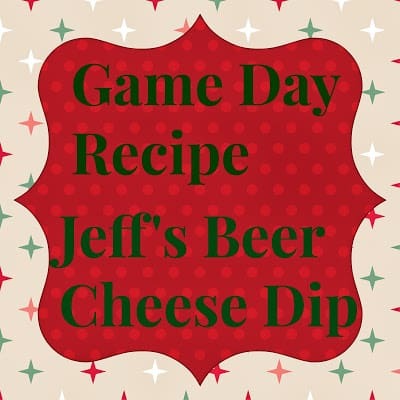 Jeff makes his beer cheese dip whenever possible and for whoever wants to sample his dip. The minute I tasted beer cheese dip I asked for the recipe. He later admitted that he didn’t make up the recipe on his own, like he said he did earlier, but found the dip on the back of an envelope of Hidden Valley Ranch salad dressing. Well Jeff this dip is super, no matter where you found it! Add rest of ingredients and combine well.